Here is a selection of articles in the categoryGay Guide Updates . Posts describing updates to the site and Gay Guide. 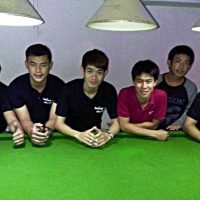 Our gay guide to Chiang Mai quick reference listing has just been updated . 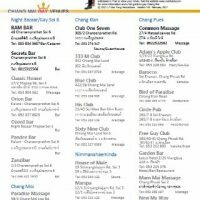 This has all the bars, Massage and Saunas listed on a single page (PDF Format) which you can download and print. 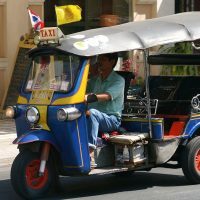 It includes addresses in Thai you can show to a Taxi driver. 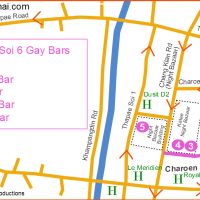 We have just updated our quick reference guide to gay Chiang Mai. 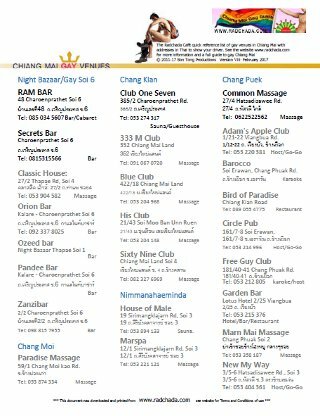 This has all the bars, Massage and Saunas listed on a single page (PDF Format) which you can download and print. It includes addresses in Thai you can show to a Taxi driver. 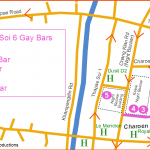 With Charoen Prathet Soi 6 at the night bazar fast becoming the new gay central in Chiang Mai, we have produced a handy map showing the location of bars in the area.